We LOVE these energy bites. They are super easy to make too… which I really appreciate! 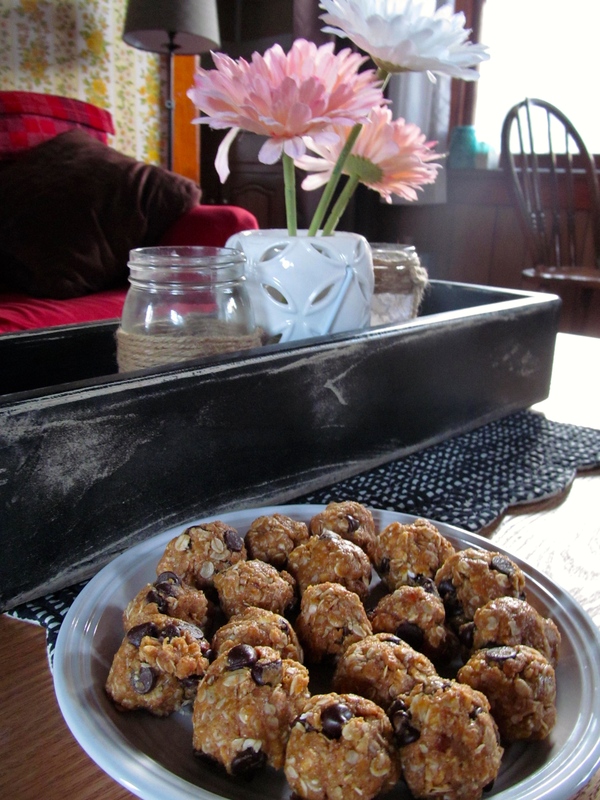 The fact that they have peanut butter, ground flax seed, and oats in them make them pretty healthy. Mix all ingredients together, chill in the fridge or freezer & then roll into balls. Keep them handy in the fridge, as you will need them handy because of how delish they are! Most recipes also call for 2/3 c. of toasted coconut flakes but I have yet to use them. If you like coconut though, go for it! Let me know if you enjoy them as much as we do! I did not see this post until today, as I was scrolling through your blog! These energy bites have been on my list of things to make. Our whole family loves them!! They are a hit in this household as well!! They don’t last long at all!